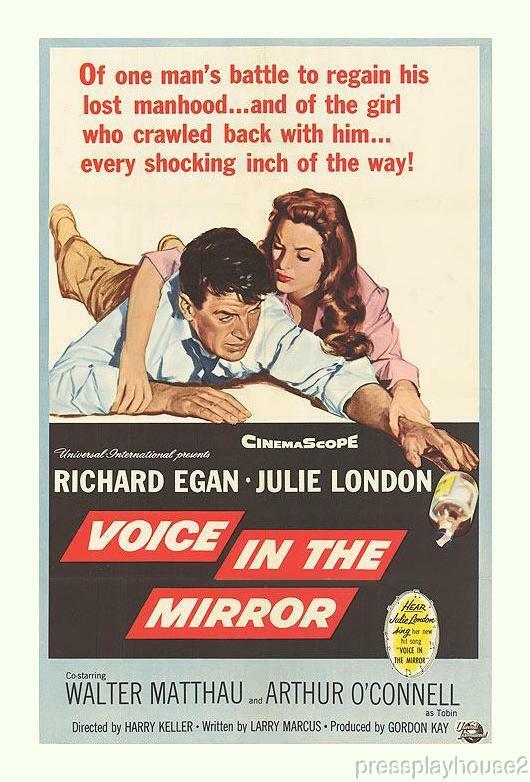 BRIEF PLOT SUMMARY: RICHARD EGAN GIVES A FINE PERFORMANCE AS A MAN TORMENTED BY THE HORRORS OF ALCOHOLISM AND THE PEOPLE HE TAKES DOWN THIS HARD ROAD. COMMENTS: THIS RARE FILM IS GRIPPING WITH ITS REALISM -DEPICTING THE STRUGGLES OF SOMEONE WITH THIS DISEASE. A FINE SUPPORTING CAST (LONDON as his wife, MATTHAU as his doctor, especially O'CONNELL as fellow alcoholic) MAKE THIS A FORGOTTEN 50s DIAMOND IN THE ROUGH.